Brilliant piece of gear. I've had it out twice now on day hikes and it has performed perfectly. I've filled it with hot chocolate at around 9am and it was still nice and hot at around 4pm. Robust and compact, perfect for chucking in a day bag. Good value, and works just fine. Used this out the box (after initial rinse with hot water), every day without any problems. Good seal, keeps brews hot and cavity in lid good idea. No need for a bells 'n whistles one. Recommended. 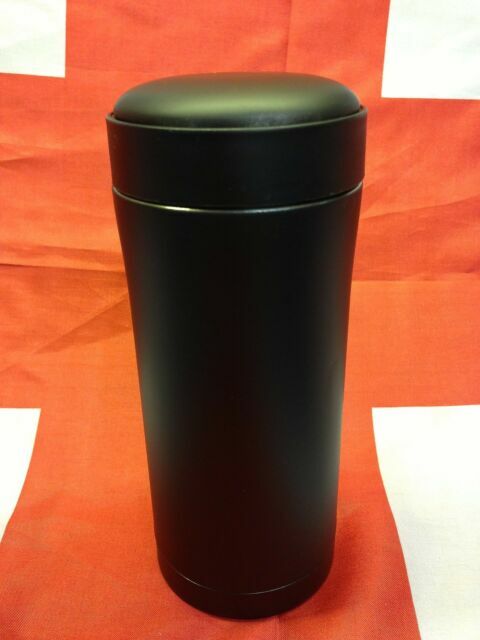 Unlike other more expensive flasks the rubber seals are shocking and the tea ends up in the lid all the time. Leaks out and generally gets on your nerves. I haven't used these on FTX because I know they will be gash. Official Queen's Diamond Jubilee Medal Box Only 1952-2012. Empty Box.